In the ‘age of the customer’, Banks are increasingly being defined by the experiences they offer. While digital transformation has helped Banks reduce costs and create greater convenience for customers who no longer want to be defined by branch hours, these channels have also typically had lower engagement levels. This is particularly prevalent in the case of complex journeys, where journeys are often non-linear and there is a tendency for non-frequently asked questions. 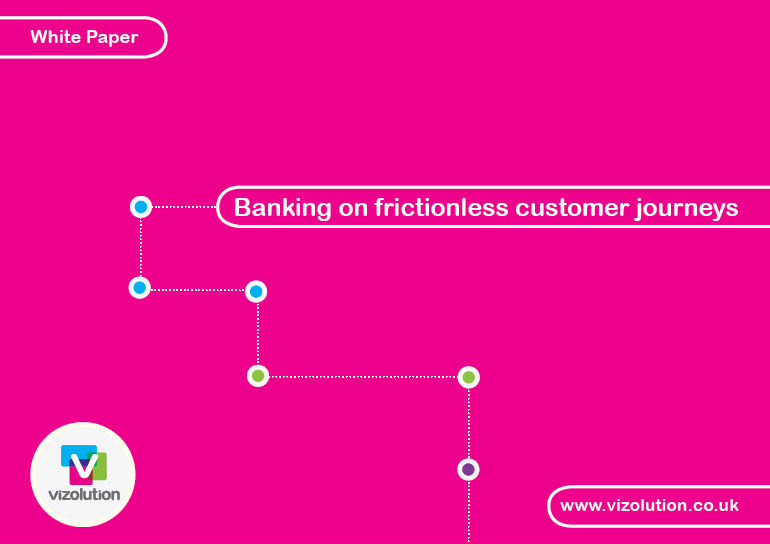 It’s therefore vital that banks create a frictionless experience and eliminate key pain points. Used by 31 enterprises across Financial Services, Telecoms and Utilities, our market-leading technology helps to streamline complex customer journeys into effortless experiences by replicating the qualities of face-to-face experiences within remote channels. Our omni-channel digital suite allows customers and agents interacting remotely, over the phone or online, to share, display, exchange, complete, verify and sign documents as if they were face to face, and works without requiring customers to download any software or apps.